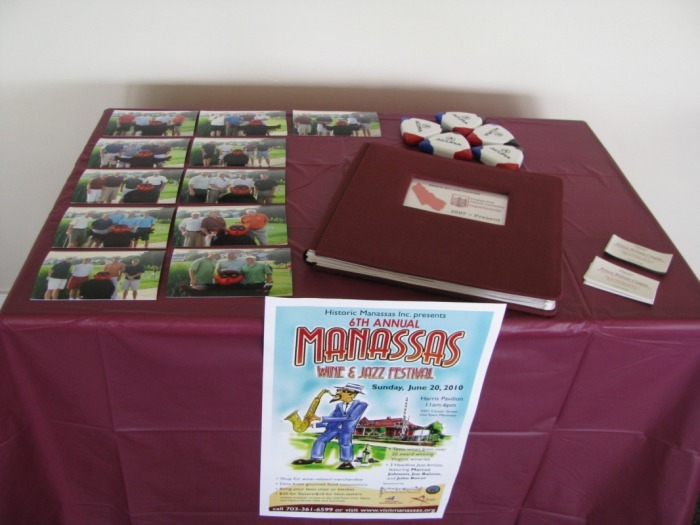 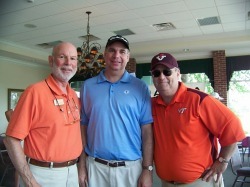 The 3rd Annual Prince William County Virginia Tech Alumni Association Golf Tournament was a success once again. 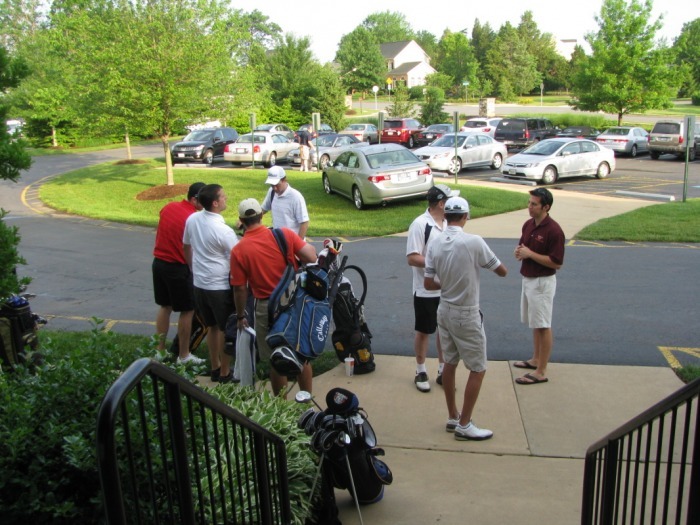 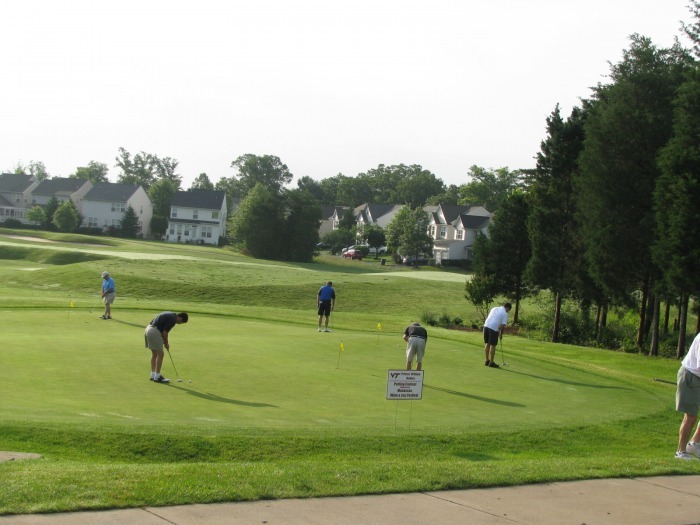 On June 4, 2010 at Virginia Oaks Golf Club in Gainesville, VA, 65 golfers competed in a scramble to help raise over $5,100 for the Chapter's Scholarship Endowment. 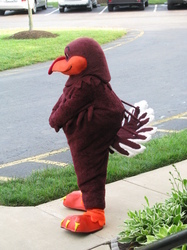 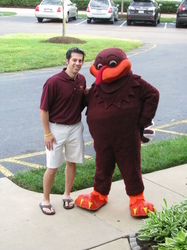 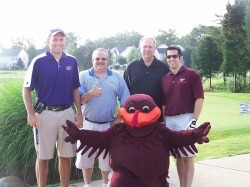 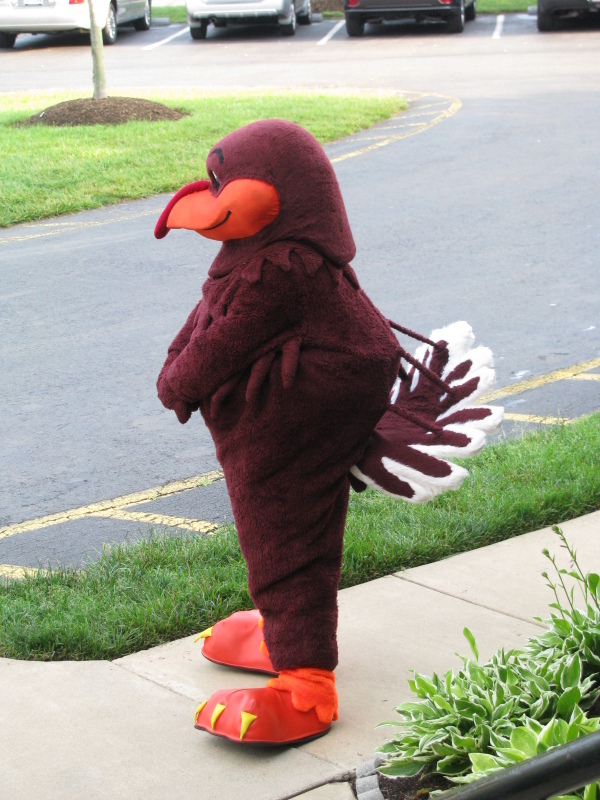 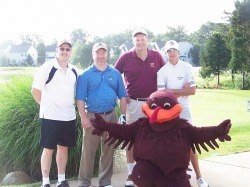 The golfers were greeted by the Hokie Bird at check-in and enjoyed a continental breakfast before teeing off. 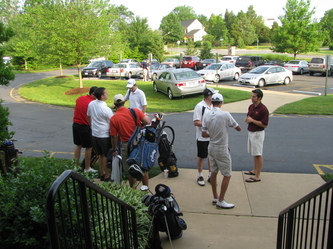 There were several contests to compete in, including a team putting contest, longest drive, closest to the pin, longest putt, and for fun, a shortest drive. 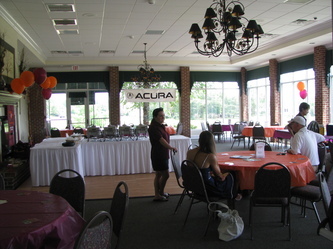 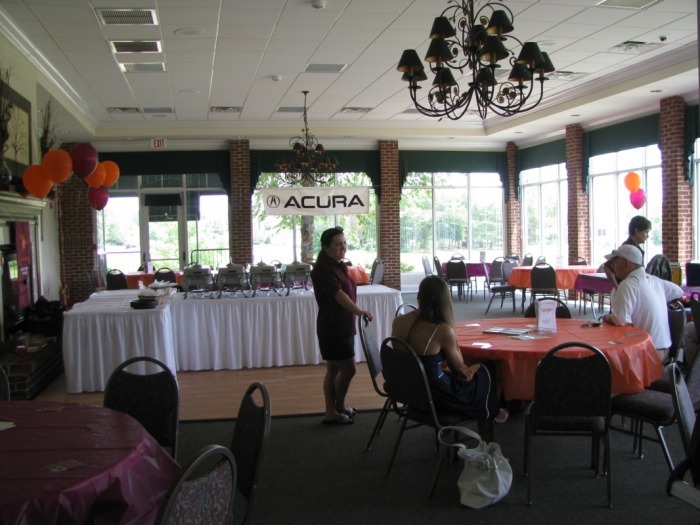 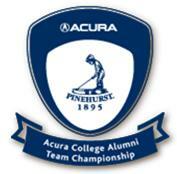 There were also multiple prizes to be one at each of the par 3s if someone got a hole-in-one, including the chance to win a 2010 Acura. 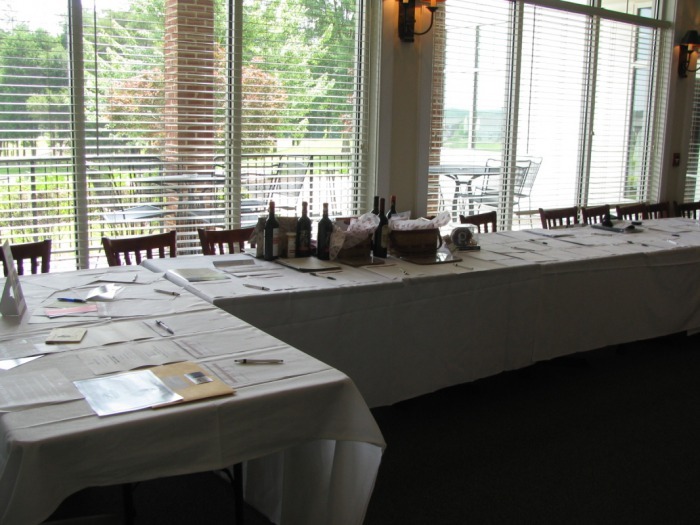 Once golfing was finished, the golfers enjoyed a luncheon provided by Bonefish Grill in Gainesville, VA. Prizes were handed out for the contests and team competition, and each golfer received a raffle prize donated from various businesses. 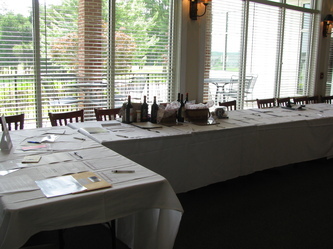 The silent auction came to a conclusion following the luncheon. 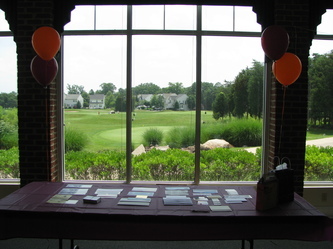 There were lots of donations from various businesses and organizations, which drew many bids from all the golfers. 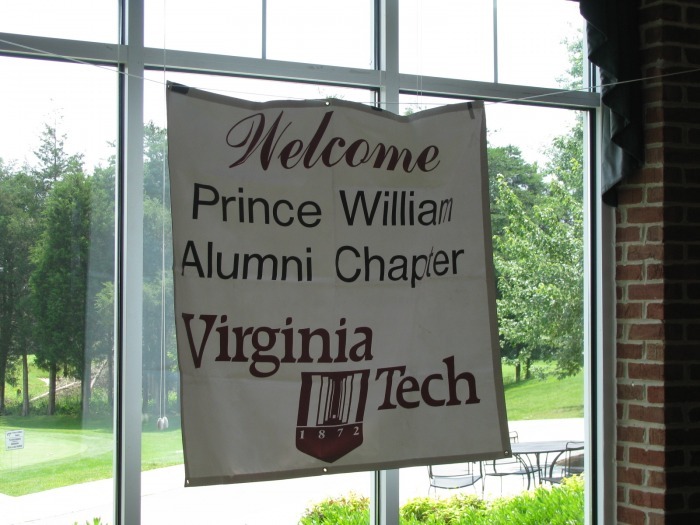 The Prince William County Virginia Tech Alumni Association would like to thank everyone for their support of this year's golf tournament. We hope everyone had a great time and we look forward to seeing everyone at the 4th Annual Prince William County VT Alumni Golf Tournament next year. 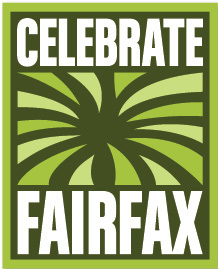 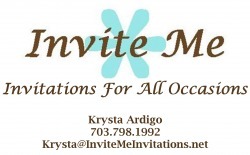 Thank you to the following businesses and organizations for their donations.